A major step in our I-5 improvement project in Tacoma is about to start, but so is a 7-month closure of a key exit, and we need drivers to be prepared for some potential delays during peak traveling times. Starting as early as 11 p.m. Friday, April 14, our contractor crews building HOV connections between I-5 and SR 16 will close the northbound I-5 exit to Tacoma's city center – exit 133 – for 7 months. That means drivers who use this exit to reach downtown Tacoma, I-705 and SR 7 will need to use a detour onto the northbound I-5 exit to SR 16 and Tacoma Mall (exit 132), around the clock. While it's a pretty simple detour, we do expect backups at peak commute times so drivers should plan extra time to their trips. During the closure, crews will build new northbound I-5 lanes, a new northbound I-5 bridge and a new northbound I-5 off-ramp to Tacoma's city center. They'll also start building new HOV lanes for both eastbound and westbound SR 16 traffic merging onto I-5. 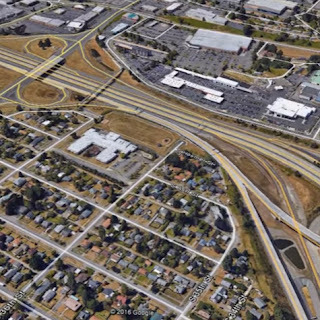 This is the third of three projects designed to improve the I-5/SR 16 interchange and provide a direct connection to HOV lanes between the two highways. We know that anytime we close lanes or exits, it's an inconvenience for drivers but the only way to get this major portion of the project completed in a timely and safe manner is to do this full closure. We appreciate your ability to adjust and be patient while this work gets done. I thought you already did this in 2012! What happened? Raphael Bakin, NB I-5 Exit 133 was closed temporarily for the Eastbound Nalley Valley project. The ramp was re-opened knowing that it was in a temporary configuration. This closure actually builds the final configuration of exit 133. This will not affect Southbound, correct? What about the Hwy 7 to NB I-5 exit? Is this for north bound only. I come south from Seattle and use Exit 133 from I-5 south to get to the Shuster Parkway exit. Will 133 going south still be open? Exit 132 is already a nightmare. Adding more traffic through there is sure to ruin my morning. PS please put up signs when you change where a lane is going to go. How many times have I had to hurry and switch lanes because it changed overnight. Unknown, thanks for the question. 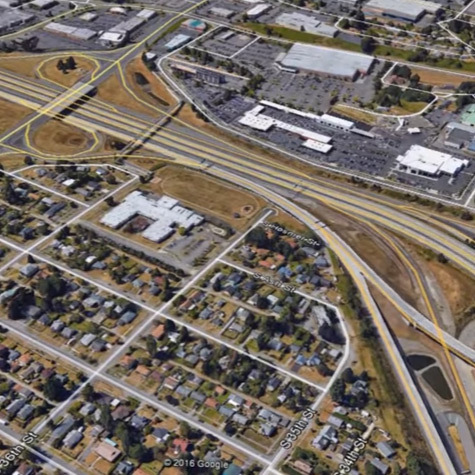 Southbound I-5 will see shifted lanes toward the Tacoma Mall toward the first part of May. In regard to the northbound SR 7 ramp to northbound I-5, we need dry weather. Excessive rain and wet soils have slowed progress by contractor crews reconstructing a new ramp that will join a newly widened I-5. Since March 1, crews saw-cut and removed over 500 truckloads of soil and concrete, and installed new drainage, lighting and electrical systems. They have started constructing the new ramp, but they require dry weather to successfully build an embankment and pave and stripe the new ramp. Drivers are detoured around the closure via I-705, SR 509 and northbound I-5. The detour will remain in place until the ramp reopens to traffic. Once the new ramp is finished, crews will reconstruct the southbound I-705 ramp to northbound I-5. The reconstruction work will require closing that ramp over a weekend. Both ramps will open to traffic after that point. I wish I could give you a solid date as to when this ramp will be opened. Currently we have tarps covering the soil trying to keep it dry and help it dry out. We are very aware of how important this ramp is to commuters, residents and businesses alike. In addition, this new ramp alignment is a high priority for WSDOT and the contractor because once it is reopened, it allows us to move into the next stage of construction. Cynthia Anne, this is for northbound I-5 exit 133, located just past the Tacoma Mall. Brett and Cassie, thanks for your comment. The signage will be revised when the northbound I-5 exit #133 is closed. Thanks! Great answer, and quick response!